Chapman & Evans was formed in 1942 by Henry Otis Chapman Jr. (January 19, 1898 – March 1967) and Randolph Evans (April 17, 1901 – April 16, 1974) with William E. Delehanty (July 25, 1901 – July 1986) joining in 1945. Chapman, the slightly older of the trio, was educated at Yale and Cornell and received the American Institute of Architects’ Cornell School Medal in 1922. His father, Henry Chapman Sr., was also an architect, graduating from Cornell, and Chapman Jr. worked in the eponymously named Henry Otis Chapman & Son for six years. He also apprenticed for the noted John Russell Pope. Delehanty attended MIT. After graduation in 1924 he settled in New York City. Evans was from Alabama and studied at the University of Alabama. In 1934, he received a medal from a Better Homes & Gardens competition for residences and by 1936 was based in New York City. One area of specialty for the firm was college and educational campuses; their most exceptional achievement was Brooklyn College. 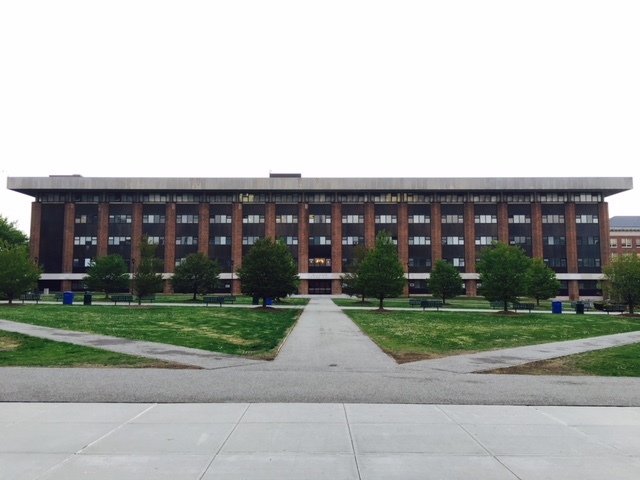 Randolph Evans designed the initial master plan in 1932 as a solo architect and all of the buildings in the first phase, including the central neo-Georgian LaGuardia Library. This relationship continued until 1969, and the firm designed all the major buildings during these three decades including several of modern design in comparison to the earlier red brick Georgian Revival structures. Other educational projects include dorms for Cornell University and SUNY Plattsburgh, buildings at SUNY Potsdam and Adelphi University, Gould Academy Hall in Bethel, Maine; and the buildings at Marymount College (now Lynn University) in Boca Raton, Florida. The Queens Chamber of Commerce recognized two of their efforts, Federation Bank & Trust Company, a stylish round building at the prominent intersection of Queens Boulevard and Broadway, unfortunately now demolished, and Aviation High School, in Sunnyside, a huge complex of green enamel panels and pale pink brick. The school, one of the largest in New York City, takes up a whole city block. The seven-story structure most notably includes a hangar where students work on donated aircraft. 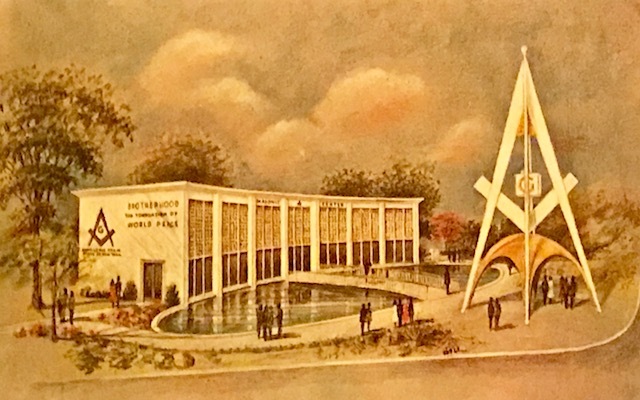 They had close involvement in developing the main campus of Nassau County government buildings in Mineola, a significant grouping of mid-century modern on Long Island. They also restored significant sites on Long Island and elsewhere, including Hempstead’s Rock Hall and Hempstead Town Hall, as well as Theodore Roosevelt’s Sagamore Hill in Oyster Bay. 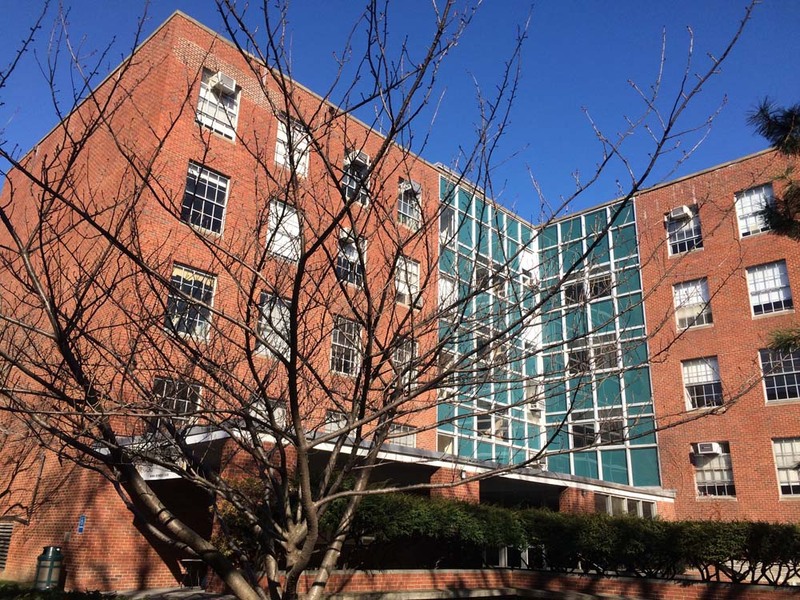 The firm also completed hospitals, libraries, churches, and public housing, designing the James Bland Houses in Flushing in 1952 and later the Mill Brook Houses in the Bronx. The firm became Evans & Delehanty in 1965 with the retirement of Chapman, who died in 1967.